Only two days separate the release of Jurgen Klinsmann's roster prior to their match against Honduras. 24 have been called in to the World Cup qualifier and of the 24, seven are representatives of Major League Soccer. As is often the case, there were some surprises among the names called to represent the United States in San Pedro Sula. Seemingly returned to favor and the squad is Jozy Altidore, who has been on a scoring tear with AZ Alkmaar. Other suprises include Sacha Kljestan whose inclusion is likely due to Benny Feilhaber and other play-makers failing to impress. Kljestan is a proven ball handler for Anderlecht, but has not been able to garner permanent inclusion in the national team under Bob Bradley or Jurgen Klinsmann. This could be a perfect opportunity for the hopeful midfielder. 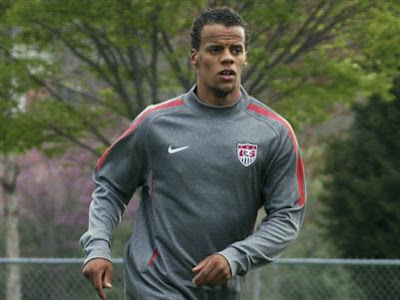 Timmy Chandler has accepted the call up, which if legit means that the US back line has gotten that much faster and more talented. MLS Defender of the Year Matt Besler will join veteran Carlos Bocanegra on what is largely a World Cup Qualifying rookie back line. Geoff Cameron, Omar Gonzalez and Michael Parkhurst are also included. The total number of WCQ appearances by all defenders called up is 42, of which 31 belong to Carlos Bocanegra. 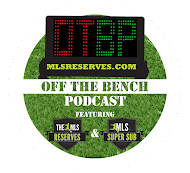 The midfield will likely be anchored by Michael Bradely, who is as good as ever but will be missing Kyle Beckerman who has been dropped in favor of other defensive midfielders Maurice Edu and the temperamental Jermaine Jones. Graham Zusi, Danny Williams and Jose Torres could bring some spice to the group. Sean Johnson appears to have beaten out Tally Hall and Bill Hamid from camp cupcake and firmly holds that third string position. The offense is rounded out by Clint Dempsey, Herculez Gomez and Eddie Johnson. Notable absences on the roster include Landon Donovan (on hiatus from soccer), Steve Cherundolo (injury), and MLS Golden Boot winner Chris Wondolowski. Much as been made of Josh Gatt, but his hectic and ballistic efforts against Canada likely did little to win favor. It would seem more seasoning is necessary before the speedy winger is ready for the full national team.